Festive season is around the corner, what do you wish for? 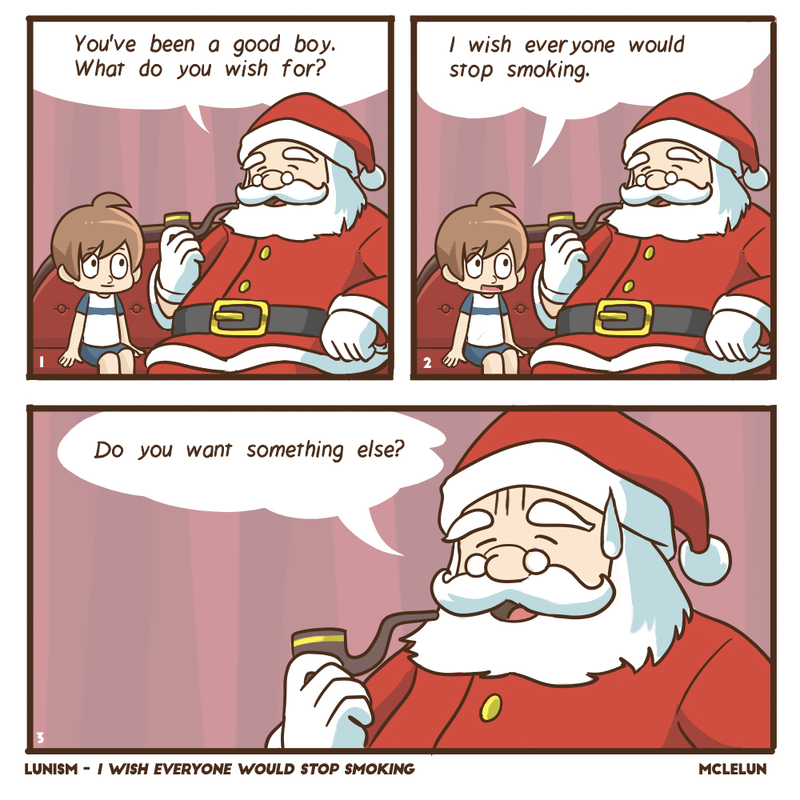 If you wish for everyone to stop smoking, it most probably won't work as Santa himself is smoking too. Santa: "You've been a good boy. What do you wish for Christmas?" Boy: "I wish everyone would stop smoking." Santa: "Do you want something else? Like an iphone"